Whether you love or hate him, there is no disputing the fact that Jose Mourinho is a serial winner. Even in his most disappointing League campaign with a club, Mourinho still managed to add three trophies to his illustrious cabinet this season. A league campaign of not challenging for the title is rather unheard of when you analyse Mourinho’s reigns at clubs, as we are so used to seeing the Portuguese create a squad that possesses the same winning and elite mentality as himself. One way that Mourinho has consistently achieved this is through his recruitment of transfers in which he and his backroom staff seem to specialise in bringing in these specific type of players. As we have seen through United’s targets this season, Mourinho is certainly looking to build on a relatively successful first campaign in which he evidently is looking for players who strongly bolster the squad. The signing of Victor Lindelof is no doubt being greeted positively by fans as following the success of Eric Bailly, fans must place their trust in Mourinho with a defensive recruit such as this. The same could potentially be said with Mourinho’s other reported targets that may not seem all too glamorous on paper, but they suit Jose’s agenda well. For example the signing of Perisic has been questioned by many as for the reported fee being negotiated, fans have stated that they would prefer a winger with a little more spark and excitement. However as I myself questioned whether United should be monitor the type of winger such as Lemar, it is evident that Mourinho is looking to strike a balance between his youth and experienced players within the squad. Many United fans are predominantly not naturally inclined to welcoming signings that are aged around the 27-29 mark, as we do get more excited over the younger prospects and the longer term vision of the building up of a team. However as Mourinho is gearing up for a title challenge next season, perhaps the signing of a more experienced winger is the best method in keeping players fresh in a rotational system. As we have also seen with speculation linking the club to Morata, Dier, Matic etc, it is evident that Mourinho is in search of players that share the same desired workload as himself. Hypothetically if we were to sign both Perisic and Morata, these are players who hold European experience and automatically strengthen our squad depth. When you compare Manchester United’s squad over the last three seasons to that of a Real Madrid or Bayern Munich, the options on the bench severely contrast in quality despite similar amounts of money being spent. Through the bolstering up of the squad and the transition of moulding our feeble squad into a more challenging and competitive one, this has to be held as a positive step forward for the club in the future. It is a fair assessment to state that under Van Gaal or David Moyes, the club was not heading in a certain pathway as no real philosophy was being implanted. Under Jose Mourinho however, it is through these signings and the competitive nature that he is instructing within the squad that indicate United are progressing forward under Jose’s project as this recruitment policy can be identified within his previous clubs. Still chance for the youth? When Jose Mourinho took over the club in May last year, perhaps the biggest question that was sparked amongst fans and pundits with regards to his appointment was whether he would match the club’s philosophies of playing the youth. As mentioned, Jose has always inherited or created an illustrious looking squad and despite being successful at every club he has managed, the one flaw that he does hold is his reluctance in playing academy products. This philosophy is however something that is embedded within the club’s DNA as following the notorious eras of the ‘Busby babes’ and the ‘Class of 92’, United fans have a natural expectation of seeing the academy being given a chance to show their worth. Through the likes of George Best, Ryan Giggs, David Beckham etc the club have always managed to produce high quality products in their academy and perhaps Mourinho is prepared to involve the youth, as it is of course a requirement of being the Manchester United manager. Although statistics may show that Mourinho ‘has given more minutes to teenagers this season’ over his rival bosses such as Guardiola, Klopp and Conte, one must not be drawn into this stat too much as of course Marcus Rashford did account to about 95% of this time. United fans themselves have been left pretty disappointed specifically through the reluctance to Fosu-Mensah following his impressive displays in selected minutes. However every cloud has a silver lining and the final game of the season against Crystal Palace surely showed Mourinho just how capable our younger players can be. 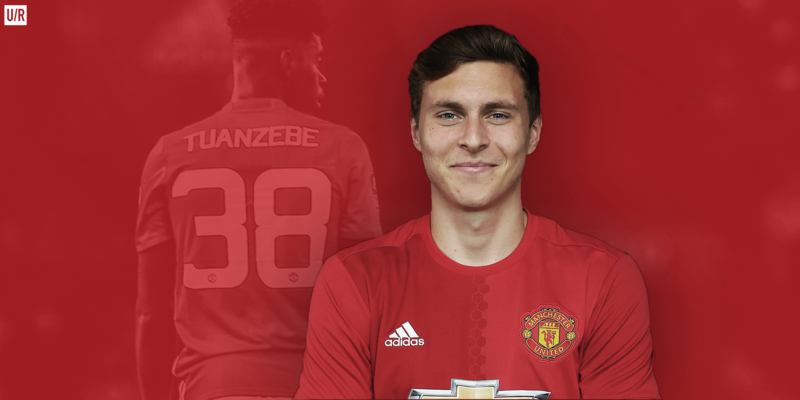 As we have also seen through glimpses of Tuanzebe coming to the end of the season, it is evident that the academy can be just as effective to the squad as much as any new signing. Perhaps if Mourinho were to bring in just four reliable and solid signings, alongside the promotion of a few youth products into the squad, this could be the perfect recipe for a title charge. The situation would metaphorically combine both the philosophies of Manchester United and Jose Mourinho and could well be the thinking of Jose’s plan as we enter the transfer window.